Can we retire the phrase “cheap grace”? 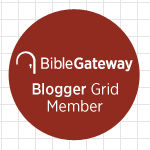 As I’ve said on this blog before, if grace is “cheap,” then it’s already too expensive for us! It must be free, or else we’re all bound for hell! A popular misconception of God’s plan of salvation (shared by too many Christians, I’m afraid) goes something like this: God created us to live in a perfect relationship with him in the Garden of Eden. So long as Adam and Eve didn’t break this one simple rule—”Don’t eat the fruit of the tree of knowledge of good and evil”—they would be fine. That was Plan A. It failed miserably. So he tried Plan B: He would create a people Israel, who would live under the Ten Commandments and other, related laws. This time, however, he would give them a remedy for sin in the sacrificial system. So long as they didn’t mess up too badly, they would be O.K. The books of Judges, Samuel, Kings, and Chronicles, however, describe how badly that plan failed. So what’s God going to do now? Plan C: Since we human beings have demonstrated that we are incapable of obeying laws, God sent his Son Jesus to obey the Law on our behalf—because we can’t do it for ourselves. It’s on the basis of his righteousness rather than our own that we’re saved. Even as I read this, I confess it’s dangerously close to the truth. I can see why many people believe that this is what the Bible teaches. So what’s wrong with it? First, what I describe above isn’t a single plan; it’s multiple plans. Yet scripture teaches us that Christ was the “lamb who was slain” before the foundation of the world, according to the “definite plan and foreknowledge of God” (Acts 2:23; 1 Peter 1:19-20; Revelation 13:8). In other words, God is not surprised by our sin. God knew, before he created our world, that one consequence of his creation is that he would have to redeem it from its sin through the sending of his Son. In other words, there was only a Plan A: that God would be in Christ reconciling the world to him (2 Corinthians 5:19). Everything God does before Christ—through the giving of Law and the sacrificial system—is to prepare the world for Christ’s coming. Among other things, the Law teaches us that we are helpless sinners who need to be redeemed by God alone, through his Son Jesus. The sacrificial system teaches us that forgiveness is costly, that it comes only through the shedding of blood. Ultimately, only the shedding of Christ’s blood on the cross can purchase for us the forgiveness of our sins (1 Cor. 6:20; 1 Cor. 7:23; Acts 20:28; Hebrews 9:12). To be clear, God did not send his Son Jesus because earlier plans of salvation proved too difficult; that salvation through faith in Christ was easy, whereas salvation through works was difficult. No: faith in Christ makes salvation possible; any other scheme makes salvation impossible! What I failed to consider in this week’s podcast is how offensive free grace must be to someone like Will—and so many others. Man-made religion is all about what human beings must do in order to be saved. The cross of Christ is scandalous because it tells us that we can do nothing—that we are powerless—to merit the salvation that God makes available to us. 1. 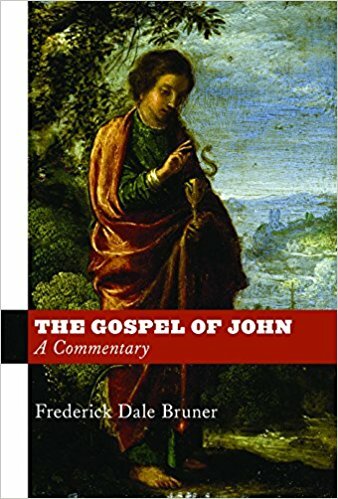 Frederick Dale Bruner, The Gospel of John: A Commentary (Grand Rapids, MI: Eerdmans, 2012), 194. This entry was posted on	March 10, 2018 at 12:00 pm	and is filed under Uncategorized. 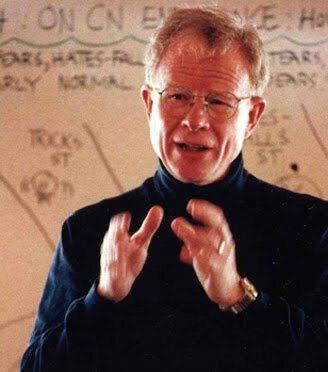 I largely agree with this espousal of salvation being nothing we could ever earn, but also including appreciating your “cautionary note” that we must nonetheless “test ourselves, whether we be in the faith.” I also concur that most people who rail against “cheap grace” actually don’t think they need ANY–their works are sufficient. But we must also, I think, keep in mind the “starting point” that John the Baptist and Jesus noted: “Repent, for the kingdom of heaven is here.” Although Paul talks a lot about “by grace through faith,” he also says in Acts, “I preached to all men everywhere that they should repent.” Peter says at Pentecost, “Repent and be baptized for the forgiveness of sins.” Jesus also said, “If any man will be my disciple, he must deny himself, take up his cross, and follow me.” So there really cannot be any question but that scripture teaches repentance alongside faith for salvation. How that “plays out” is not so clear. To my way of thinking, however, it is like “switching sides.” I think I used this analogy before, but when Abraham Lincoln offered amnesty to the Confederates, they obviously had to “put down their arms” and stop fighting the Union. So we have to “surrender ourselves” to God. This requires faith, and cannot be accomplished except through grace. But repentance is still concomitant with faith to accomplish our salvation. Brent, your commentary is so well written and so spot on the Truth of the Good News, that all I can say is AMEN!